The world premier of the new season of Doctor Who just aired earlier today to much fanfare. The reason for the hoopla is not just because a new actor debuted as the new Doctor, but for the first time, a woman is playing the iconic time-traveling alien. Jodie Whittaker had large shoes to fill with the role of the Doctor being that so many memorable actors left their mark in the role. But she pulls it off splendidly and provides a refreshing take on the character now that the Doctor is a woman. This does not mean that Doctor Who turned into a show with a feminist agenda. 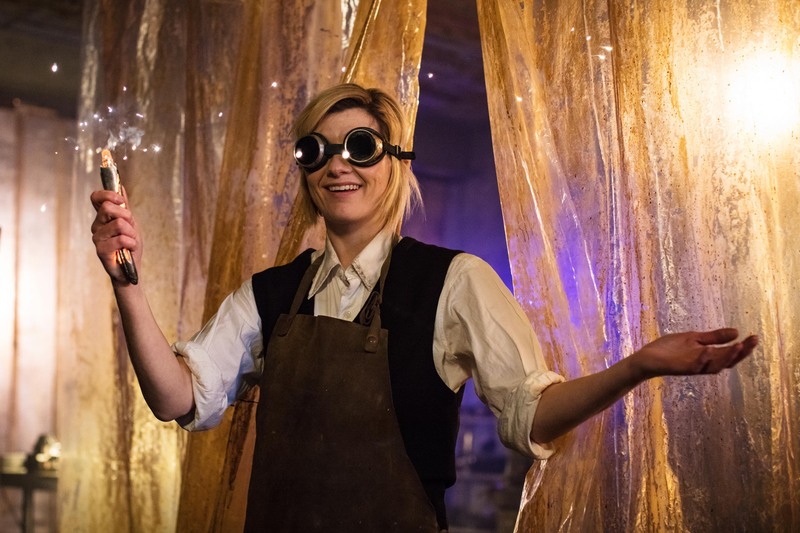 Rather, Whittaker and the first episode “The Woman Who Fell to Earth” have given the new showrunner, Chris Chibnall (who also wrote this episode), an invigorating chance to reboot the series. While the new version of Doctor Who that premiered in 2005 has been terrific, for some time the show felt formulaic and needed a shot of creativity. The regeneration episodes of Doctor Who are seen as a way of reintroducing the character and the show’s premise. 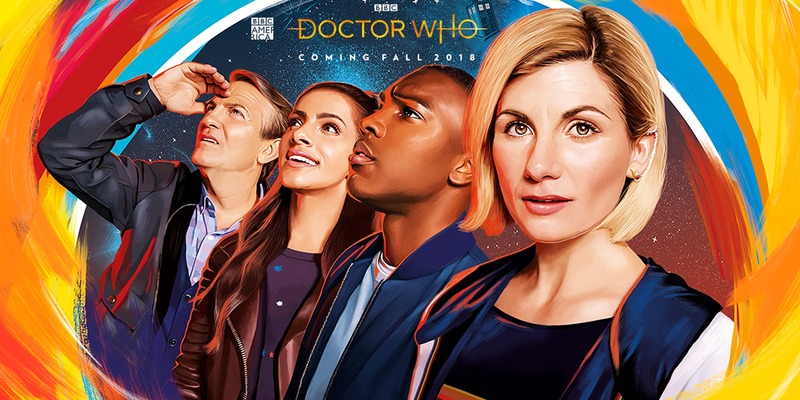 “The Woman Who Fell to Earth” follows the same beats as other regeneration episodes-the Doctor is confused as the regeneration cycle completes, new Companions are introduced, and some kind of alien menace threatens the Earth. In the end, the Doctor gathers his/her wits to foil the extra-terrestrial menace and concludes with the Companions being invited into the TARDIS to join the Doctor in new adventures. “The Woman Who Fell to Earth” actually felt different because it took an alternate route. The Companions that are introduced are diversely different, made up of dissimilar races, ages and backgrounds. The plot felt more grounded and far less outlandish than previous Doctor Who episodes. It was refreshingly simple without any convolutions or the Doctor gabbing away nonsensically. In fact, the Doctor has never seemed this gathered, resourceful and centered since the Ninth Doctor’s introduction. Basically, an alien warrior shows up to gather human trophies as a rite of passage to become a leader. The alien threat was not buffoonish and was rather creepy and menacing. The enemy alien looked appropriately gross with all his victim’s teeth embedded onto his face. Since the episode was more grounded, it felt more real and the moments of suspense and danger were much more engaging. The pseudo-magical science that was prevalent in past seasons is downplayed. The Doctor is without the safety net of the TARDIS and the usual trappings. In this manner, Doctor Who seemed like it is no longer aimed at young viewers. This may upset some fans, but the show needed a change of pace and gearing it to slightly older audiences is the right thing to do. This does not mean that Doctor Who lost its sense of wonder and passion. Those elements are still there, best expressed by Whittaker and the new Companion, Ryan Sinclair (Tosin Cole). Needless to say that Jodie Whittaker has a stunning, electric debut as the 13th Doctor. Keep in mind that the episode was not perfect. There are some pacing issues and the behavior of some characters was not natural at certain moments. Still, “The Woman Who Fell to Earth” is a refreshing way to regenerate Doctor Who and leaves you curious as to what happens next to the Doctor and her Companions. Excellent review! 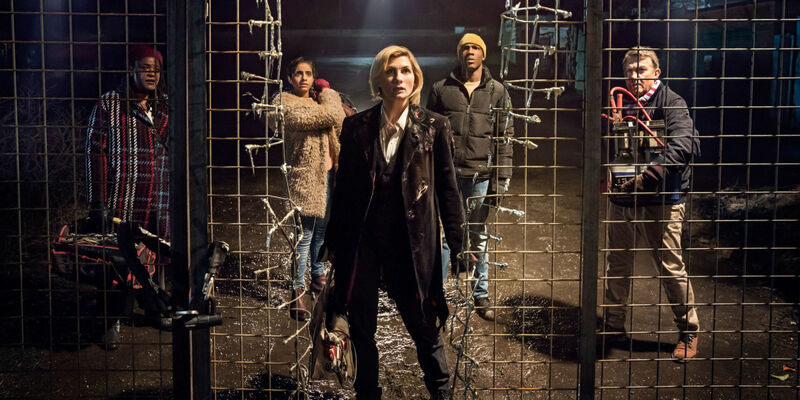 There was much to like about this season premiere, not in the least Jodie Whittaker’s superlative debut as the Doctor. Chris Chibnall has created some interesting characters to add to the TARDIS team, diverse and with their own distinctive traits. I also like the fact that there was a maturity to it all as well which grounded the story and made it relatable amongst the usual SF elements. I agree that the mature tone of the episode truly helped it stand out from previous incarnations of the show. Also, that cliffhanger was something to keep us tuned in for! Great review, this was a really good premier episode for the new series of Doctor Who. Jodie Whittaker totally nailed it as the new Doctor! Thank you, you also provided some fine points in your review. It is amazing but not surprising given her talent that Jodie Whittaker delivered in her debut as the 13th Doctor. Thank you. This episode was a great way to do a soft reboot which should be the norm for Doctor Who whenever a new actor takes over the lead role.